Vampire Weekend have announced a North American tour supporting their upcoming album Father of the Bride. Tickets go on sale to the general public on February 8 at noon, following a Verified Fan presale beginning on February 5. All U.S. ticket buyers will be sent a CD copy of Father of the Bride (sorry, Canadians!) According to a press release about the tour, the release date for the record is still scheduled for “spring 2018,” however. 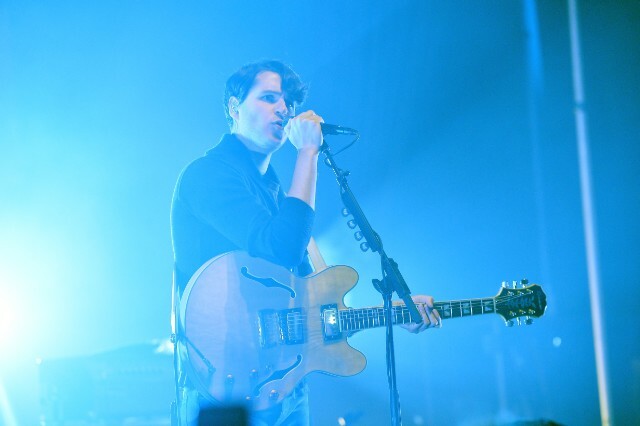 The FOTB tour features some of the biggest shows the band has played to date, including nights at Los Angeles’ Hollywood Bowl and a show at NYC’s Madison Square Garden, which lead singer Ezra Koenig recently announced on the Jumbotron at a New York Knicks game. Vampire Weekend released the first music from FOTB last week: the single “Harmony Hall” and “2021.” The band’s last album, Modern Vampires of the City, was released in 2013. See the full list of Vampire Weekend tour dates below.